It’s September so that means that the next version of iOS is almost here. Unlike the last few iOS updates, iOS 12 is largely an incremental update that concentrates on performance and compatibility upgrades and building on the solid foundations of iOS 10 and iOS 12. Nonetheless, there are some significant changes that every mobile marketer and app owner should be aware of. Notification Management in iOS has changed very little in the last few years. 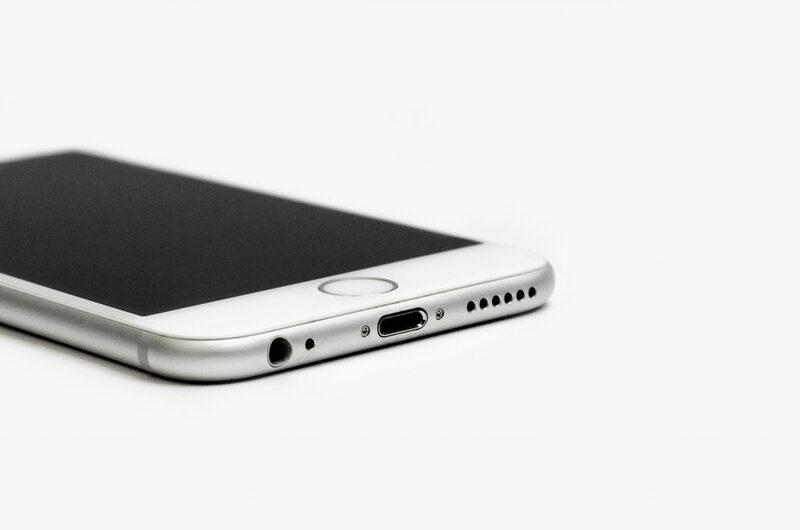 iOS 10 included some welcome additions to push notifications that allowed users to view content such as images, gifs, audio and video clips on their lockscreen as well as allowing marketers to include lockscreen buttons that could bring users to custom destinations. iOS 11 built on this and also included changes to the Notification Center. These were welcome additions and they opened up a host of new opportunities to build custom experiences for each user directly on their lockscreen. However, outside of the expanded notification view, interacting and using notifications has changed very little since iOS 7, if not before. That changes with iOS 12 and the most interesting update is a feature that Apple has called Instant Tuning. One of the big differences between Android and iOS notifications in recent years is that Android allowed users to manage notifications on their lockscreen whereas Apple forced users who wanted to change their notification settings to trawl through their settings options and change them manually. With iOS 12 and Instant Tuning, every user will now have much more control over individual notifications and it will be significantly easier for them to block notifications from apps that do not provide deep utility. Clicking ‘Deliver Quietly’ changes the users notification settings for that app so that all push notifications skip the lockscreen and are only viewable in the Notification Center. Quiet notifications also don’t play a sound or add a badge to the app icon. This is marginally better than ‘Turn Off’, which blocks all notifications from the app until the user manually changes that in the settings menu. ‘Settings’ brings the user to the Notification settings for that app. The big takeaway for mobile marketers here is that if you are sending notifications that users do not view as useful, they can (and will) instantly block future notifications from your app with minimal effort. While that may seem like a scary prospect, our take on it is that notifications should always provide significant utility and be personalized for every user. That notification “Sale Starts Tomorrow” doesn’t provide any real utility or context for the user and is not personalized at all. In contrast, the below push notification is hyper targeted at a specific user and the personal nature of it means that the user is much more likely to view it positively and open it. It also includes a clear call to action with the Order Now button in the expanded view. The second notification was likely sent to thousands of users but key data such as the user’s first name and a specific product that the user has previously shown an interest in were included. It is also much more fun with the use of emojis and because it provides real utility for the user by letting them know that a product in their wish list is available on sale, it is much less likely to result in the user turning off notifications for this app. While some marketers may be apprehensive about iOS 12 making it much easier for users to block notifications, we see it as an opportunity for apps and marketers who send notifications that are useful to users. There are likely to be less overall notifications being received by users on iOS 12 and this should be viewed as an opportunity for savvy marketers to really make a mark. Of course, it also highlights that marketing teams also need to use a powerful platform such as Pulsate to ensure that they can send the second type of notification. To survive in the post iOS 12 notification world, your marketing platform will need to have deep segmentation and personalization options. The other big change in iOS 12 is that Apple have finally added grouping of notifications on the lockscreen. This much requested feature has been sorely missing from iOS for a number of years so it is great to finally see it in iOS 12. At the moment in iOS, all notifications are sequentially displayed and there is no grouping so most lockscreens are usually littered with a host of superfluous notifications such as multiple calendar alerts for old events and spam from Whatsapp groups they forgot to mute. With iOS 12, notifications for each app will be grouped together by default. When you click on a notification, it will expand to display all of the other notifications that you have received from that app. This has obvious benefits for users who will enjoy a much less cluttered lockscreen. However, it also has many positives for marketers who should also benefit from a less busy lockscreen and find it easier to get the user’s attention. The final iOS 12 update that marketers should be aware of is the new Bedtime feature in Do Not Disturb. When this setting is activated, any notifications that are sent to your phone will not go to your lockscreen and will also not play a notification sound. Of course, people wouldn’t have received notifications when they were alseep before iOS 12. However, the notification may have been waiting for them on their lockscreen when they wake up. 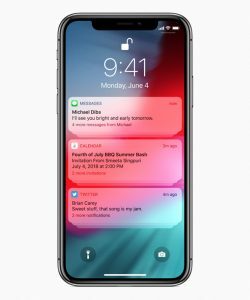 Now they will have to click a button on the lockscreen when the phone comes out of Do Not Disturb mode to see any notifications that were sent while Bedtime mode was enabled. This is another reminder that smart mobile marketers must take account of different timezones and make sure that they only send content to users when they are most likely to take action. iOS 12 includes a host of other exciting features such as Siri Shortcuts, updates to the core iOS apps and of course new animojis. For marketers though, it is the changes around notifications that will have the biggest impact. 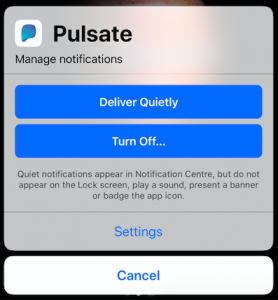 If you would like the team at Pulsate to offer some advise about what you can do to ensure you get the most out of iOS 12, please leave a comment or contact us directly and we will be more than happy to help.